I'm not a big journaler but I felt I needed to add something, so I used one of the Doodlebug Create-a-Card cards as a mat for my photo. It opens up to show some "hidden" journaling. I also love the tab, it was a place to add a little more information. I added a few embellishments including a sticker from the Flea Market This and That Sticker Sheet and one of the Cute Clip Flowers. I created the notebook page by welding 2 of the Sun Notepaper files from the Spring Things cut files and changing the line colors using my Silhouette. The background paper is the Maple Gingham Linen Petite Prints. The other papers are from the Flea Market collection. I think this is one of my all time favorite collections! As for my embellishments, the tag is from the Flea Market Labels & Tags, the leaves are from the Mini Leaves and Acorns Craft Kit and the mice are from the Flea Market Odds & Ends. I finished it off with my title, using some Teensy Type Letters in Swimming Pool and the fun new Abigail Cardstock Stickers in Bumble Bee. 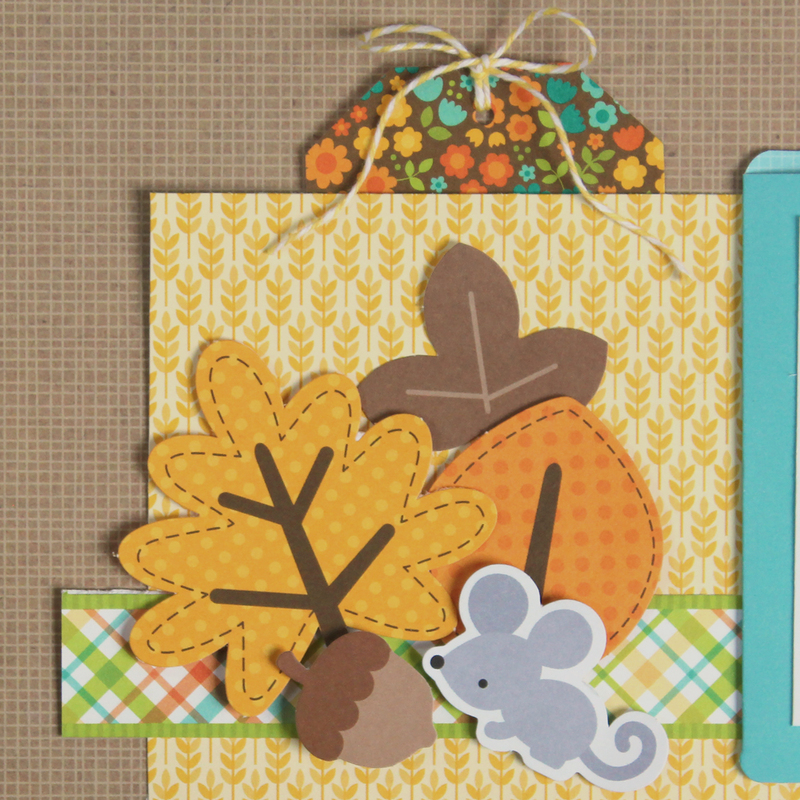 Be sure to stop by the Doodlebug Blog for the next week to check out more of the Design Team's Thankful for projects. That's it for me today, thanks for stopping by to peek! This turned out sooo cute! I'm loving the way you used a card to frame your photo--So clever and really fun!